1. Pet crate – “It’s usually a good idea to crate your dog when riding in the car. You’ll be less distracted while driving which is safer for both of you.” says legendary dog whisperer, Cesar Millan. This is also applicable for cats. The idea is to stay focus on the long and winding road. Besides, there will be plenty of quality time to enjoy with your pet once you have reached your destination. 2. Pet IDs and Leach – Like humans, dogs and cats need a little limber up after a long day of road trip. After all, dogs and cats need to release their constrained energy from time to time. It is a-must to leash your pet when going for a walk to control and keep them from doing unnecessary nibbling or worse, from jumping onto somebody. As for the tag, make sure it has their name on it, along with your contact information for identification in case you lose grip of their leash and get loose. 3. Pet snacks and treats – It’s fine to toss a chunk of your pet’s favorite snack every once in a while during trips, but make sure not to make them full. Pets may experience road trip sickness, and may throw up in your car. As a precaution, make sure to set up your car’s back seat with your trusty pet seat cover. 4. 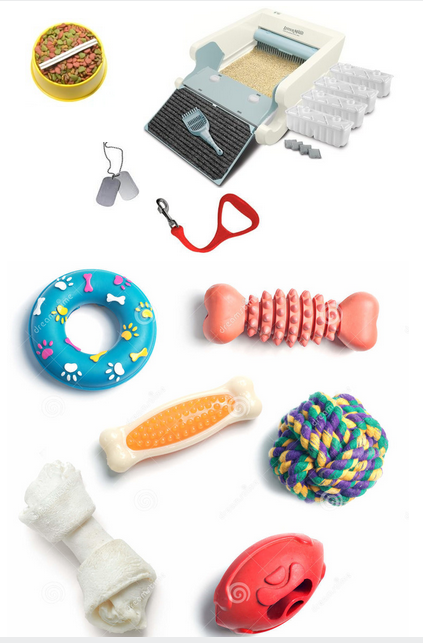 Toys – Dogs and cats tend to get uneasy during the long trip, itself, that’s why make sure these toy come in handy. Throw in their favorite stuffed animal, chew toys or koosh ball to keep them busy and calm during your driving stretch. 5. Portable litter box – Cats and dogs incapable of holding in Mother Nature’s call, (that goes for number 1 and number 2). What more during travel. And being the responsible driver (and human), it is your obligation to check if they need to “go” every once in a while. That’s where portable litter box comes in. As for dogs that are not used to relieve themselves in a litter box, just go for a quick stopover and bring a lot of old newspaper or tissue to go on with your pooch’s business. HONORABLE MENTION: Health certificates – this is applicable for “jet-set” pets on airline travel. Along with the necessary requirements such as airline-compliant pet carrier, you must have with you a valid health certificate, clearance and other important paperwork, as well as additional fees that may come along the way during check-ins. 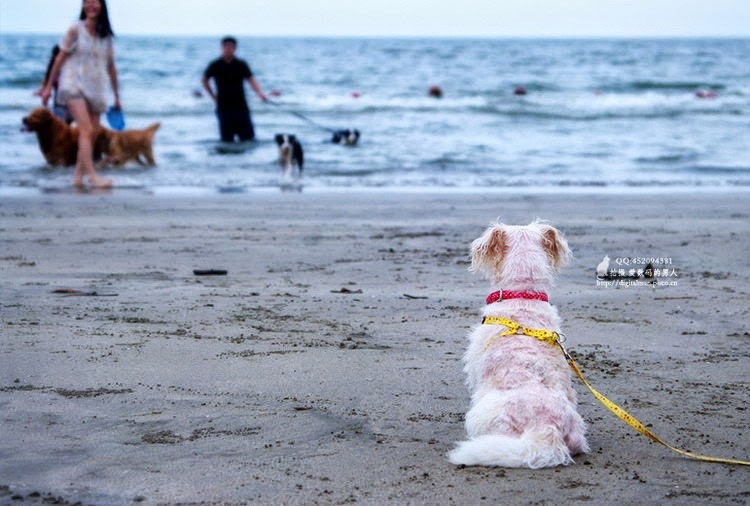 Having these 5 must-have pet essentials with you will definitely make your vacation with your lovable furry friends memorable, worthwhile and hassle-free. As much as you need to keep your golf cart clean at all times by using your golf cart cover, so the need to keep your golf clubs free from dirt regularly. Believe it or not, unkempt golf clubs can totally affect your performance. It’s rather funny that up to now there are still people who don’t realize the importance of cleaning their golf clubs on a regular basis. Understandably, a lot of them are beginners, the same ones who seem to have total disregard for the value of a golf cart cover. But surprisingly, there are also long-time hobbyists who feel the same way. Take it from the pros and learn to value your equipment. After all, they don’t come cheap. The truth is, golf clubs should be cleaned as often as they are used. Every time you go for a swing, there is always a probability that grass and dirt can get stuck on the grooves of the club face. This is a sure fire way to cost you strokes on the course. Another thing: Grips. Oil and all sorts of grime can develop on your grips. Obviously this can affect your swing as it minimizes the control you have over the clubs. This holds true whether or not you are fond of wearing gloves. Bear in mind that sometimes the difference can be very subtle that you don’t readily feel it. Our advice is this: Try cleaning it out and feel the difference on your next swing. It’s good practice to bring a golf club brush when you are on the course so that you can immediately clean the club heads even if you are in the middle of a game. Save the more thorough cleaning when you get home, but for the time being, you should be good with the brush. If you plan on storing your golf clubs for a while, clean it first before keeping it in a safe place. For anyone looking for furniture to complete your newly renovated house, why not consider placing a daybed by the window with a view? It does not necessarily need to be placed in a bedroom as it can also be used in a patio that faces the backyard. Daybeds are versatile pieces of furniture that can either be put in a room if there is not enough space for a sitting area, in a foyer to serve as a chaise lounge where guests can relax, or in the patio as a statement piece of furniture which can add a different look to the space. The kind of material for the daybed can even be selected from among a wide selection. It can be made of wood for that traditional look or of synthetic materials. Metal and steel are also other materials popularly used for daybeds. A daybed at home has to be taken care of properly so that it won’t look old easily, especially if it is used to double as a chaise lounge. It is best to invest in several daybed covers so that they can be changed every so often. This would also help protect the mattress from gathering too much dust. Daybed covers made of cotton is a great choice so that anyone would not have a hard time with laundering them. For daybeds that are placed on the patio, patio furniture covers can be used as analternative. The best part about using this kind of cover is that there is no need to laundry it to keep it clean. Just a few swipes of a rug or even a sweep of the vacuum can get it cleaned in no time. Daybeds are pieces of furniture that are nice to have in limited spaces. It would be perfect in studio flatas, where the bedroom is also the receiving area. Daybeds are perfect for these small living spaces because it can double as a lounge chair when guests come over and as a bed where they can sleep at night. Patios are also great places where this furniture can be placed, as this is primarily a place for relaxation. Just place the patio furniture covers to help protect the mattress when it is not in use. It is also a space saver because it is not that large usually. The common size for this piece of furniture is the same as a twin size bed which is about 38”x75”. Furniture pieces that are double purpose are really economical and are great to have. There are many stores now that sell these, so that looking for one won’t be too difficult at all. Also, with the many designs available for covers, an instant makeover for the home can be done in a snap. One can change the look and feel of the place where the furniture is placed by simply replacing the covers with a freshly laundered one or by using a different colored one. We at Formosa Covers can supply your needs for furniture covers. We organize our products depending on what kind is needed, making shopping for these covers easy and convenient. Having a pet dog or a cuddly cat can be healthy, apparently. Unlike any human relationship that you will have, having a pet removes stress and relieves you from some anxieties, which significantly improves your health and reduces risk of disease. Have you heard of Pet Therapy? In medical societies, it's called Animal Assisted Therapy. Several studies show that pet therapy or AAT decreased the loneliness of different types of patients, which in turn improved their health. Interesting, isn't it? Nowadays, you would see dogs and cats as part of a family. Members would treat their pets as an "official member" of the family and you would notice the same treatment as what other family member has, even if its sometimes extreme. They would even give these pets their own beds. Some would even invest in pet covers, car seats and pet accessories. Ridiculous as it may seem, but to some it’s a way of living. Pets can be a good company especially if you're physically challenged. Dogs can be a guide to blind people. Recent study also shows that incidents of heart attacks decrease due to cat ownership. Having a pet can be a bit expensive but the joy of having one is rewarding. After a hard days work, who wouldn't want to have someone running towards you with such excitement? It's your choice. At Formosa Covers, we value pets. We sell golf cart covers, pet seat furniture cover and a whole lot more. Saving on costs happens before you spend a dime. If any of your purchases cause you to spend more for auxiliary services like repairs then something is not right. Frequent trips to service shops may seem harmless. But in reality, these unplanned visits not only create a dent on your budget but they can eat up your savings in the long run – without you noticing it. Before your finances succumb to a cardiac arrest, start taking preventive maintenance plans seriously. These steps need not be elaborate and difficult. The simple use of patio furniture covers for your outdoor sitting area can go along way. Religiously following a care prevention plan of your choice can provide the right amount of protection. This rule can benefit people as well as everyone and everything they care about. Start protecting your health, home, car, laptop and more by applying this universal rule. Follow these 3 steps to help you create a versatile prevention plan that will help you save money. Being all giddy will not help you create a plan. Before penning down anything on your action plan, make sure to get the facts right. If you are devising a way to prolong the life of your gadget, it is best to know the specifications of your product. Usually, they come together with your purchase. From there, familiarize yourself with the components used. Is it water-resistant? Does it have a dust-proof covering? These are some important points that you have to consider later on as these can affect the functionality of the gadget, in this case. After getting a clear picture of the things that you’d have to consider, it is now time to think of what you would like to achieve with this plan. What are your concrete objectives in having a preventive maintenance plan? Would you like to keep your gadget or purchase in good shape to keep its resale value up? Or are you just taking good care of it to avoid damages that would need costly repairs or replacements? Think of your goals well and write them down as specific as you can. Knowing what you want is as important as how you intent to get there. Plans are just wishes blown by the wind until concrete steps are undertaken to start a journey towards achieving them. Just like the previous step, identifying specific procedures would be really helpful. Are you going to invest in a shock proof case for your purchase? Would you buy specialized covers for your pool or other furniture pieces? How often will cleaning be done if required? Make sure to integrate the information you’ve gathered from the first two steps to be able to create a sound plan. Can rust eat your investments? Get the answer here.